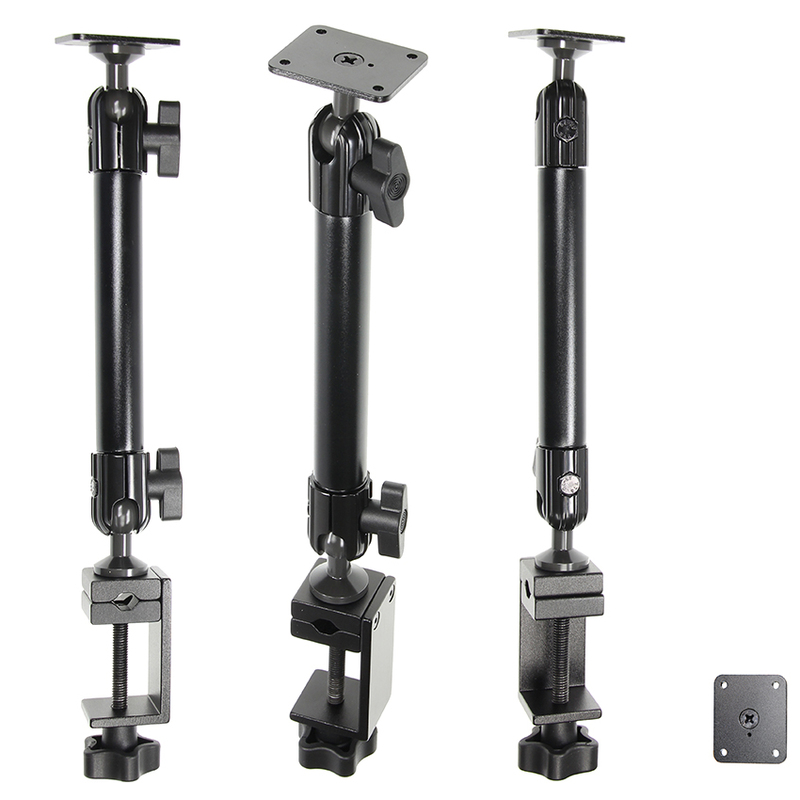 A Standard Duty Pedestal Mount with a small clamp mount, for a stable installation of your device in any vehicle and on any flat surface or round pipe/bar. 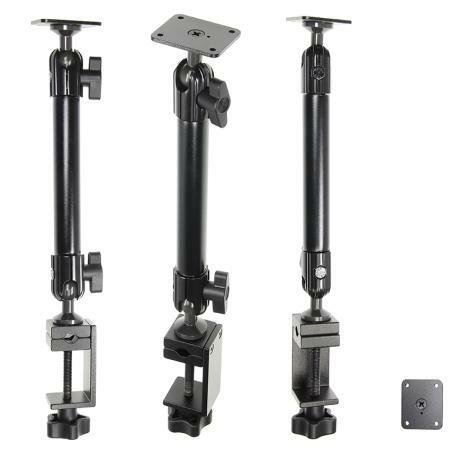 Easy to set in any angle and position thanks to ball heads which tilt 210° and swivel 360°. AMPS holes, compatible with all Brodit holders with tilt swivel. Color: Black. Rod made of aluminum, wingnuts made of plastic.